I believe when Paul says that he “presses on” in Philippians 3:12, he’s talking about pressing on to grow in his knowledge of Christ. Why does he want to know Christ more? To know Christ is to know God’s love for us. In Philippians 3:8, Paul made it clear that this was all that mattered to him. It was so important that he cast every other concern aside. He wrote, “I count everything as loss because of the surpassing worth of knowing Christ Jesus my Lord.” Now back to verse 12, Paul makes it clear that there is much he doesn’t know. He says, “Not that I have already obtained this or am already perfect, but I press on to make it my own, because Christ Jesus has made me his own.” Notice the final cause statement. Since Christ made Paul His own, Paul couldn’t get enough of His savior. Once we step out of the darkness of self-righteousness into Christ’s righteousness when He makes us His own, and feel the glory of Christ’s pardoning love for us we will sing with the old Hymn writer, E.E. Hewitt, “More about Jesus would I know. More of his grace to others show; more of his saving fullness see, more of his love who died for me. More, more about Jesus! 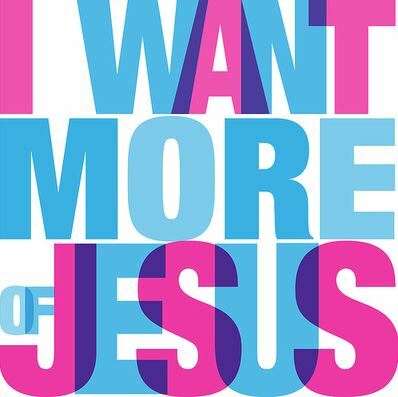 More, more about Jesus! More of his saving fullness see! More of his love who died for me.” One of the greatest joys of being a Christian is the privilege of mining the glorious depths of Christ throughout our lives in anticipation of finally meeting Him in the next life.